Virginia farmers haven’t had much to smile about recently. Trade wars sent crop prices plummeting. Dairy farms closed at a rate of more than one a week. The weather has been awful. But legislation passed by the General Assembly and signed by the governor last month offers a rare recent win for the industry: It’s now legal to cultivate hemp for CBD, a component of the plant that’s in high demand as a natural but largely untested remedy for everything from anxiety to seizures. “It couldn’t have come at a better time,” says Robert Mills Jr., a Pittsylvania County tobacco and chicken farmer who says he’ll plant six acres of hemp this season, a number he expects to grow to as much as 30 in the next five years. CBD, short for cannabidiol, is a non-intoxicating compound that can be extracted from hemp and marijuana. 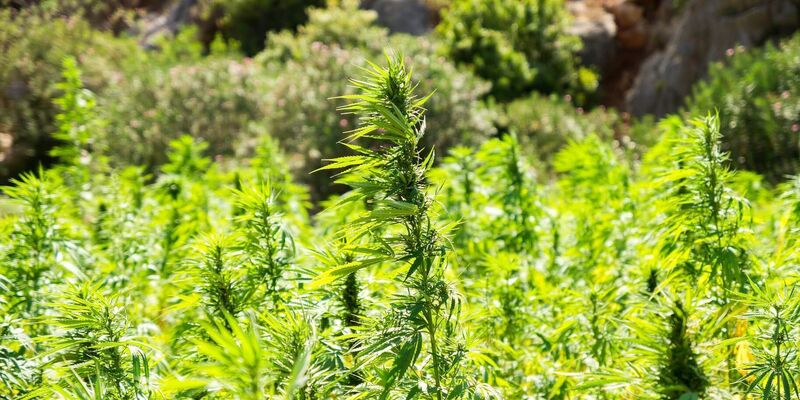 It’s been available to consumers for years, but it hasn’t exactly been legal to sell and it definitely hasn’t been legal to produce in Virginia, where hemp farming has been limited to a research program that prohibited CBD production. The state’s new law matches language in the 2018 federal farm bill and allows anyone to grow the crop and extract whatever they want from it as long as they haven’t been convicted of a felony drug offense in the last 10 years, pay a $50 fee, provide the GPS coordinates for their fields and submit to testing to ensure their product doesn’t contain more than .3 percent THC, the part of the plant that gets people high. The law is effective immediately because the General Assembly moved it as an emergency measure, just in time for this year’s growing season.